I'm trying to convert my sega saturn from SCART to component. it's own PSU and the other looks like it doesn't. Can anyone advise me as to which is the best option, if either? The first one will not work at it only adapts Scart component to component over RCA jacks. The second one will work for what you are doing but, you will need to wire up audio jacks from the Scart adapter to get sound out as that box does not pass audio. Good luck man! It will get you some sweet video out if you go that way. www.dragonradio.orgIts my biggest mod job yet! How hard do you think it would be to add a/v audio out or a 3.5mm audio jack to this? It should be super easy to do. Just crack the scart plug head and find the audio lines and solder the lines up to rca or mini jack extension running out the back neck of the scart jack. David. 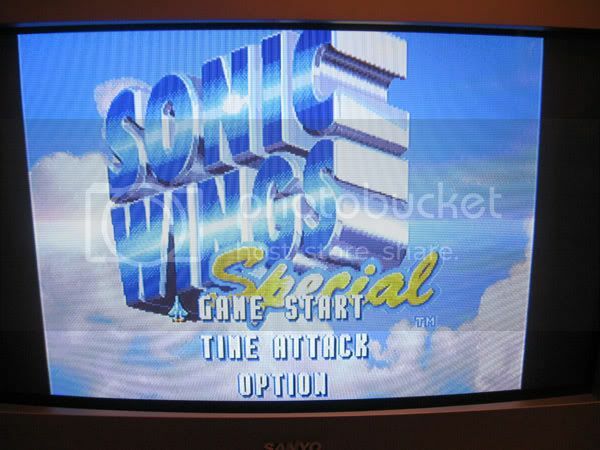 J on the Sega-16 forums has done this (added sound output to a SCART to component transcoder) I'm sure if you have any problems, you could ask him for some advice. When I get home I'll post pics of David J's audio mod to it, it's really simple. All you do is take a set of RCA cables, cut the ends off and solder them to three easy points on the motherboard. Then you just have to dremel/cut a little notch to get your cable to come out of it. Supposedly, the transcoder works pretty well. It's not as good as true RGB out of the console, but it's damn close. I picked it up since buying the transcoder + SCART cables for all my consoles is cheaper than component modding any one system. 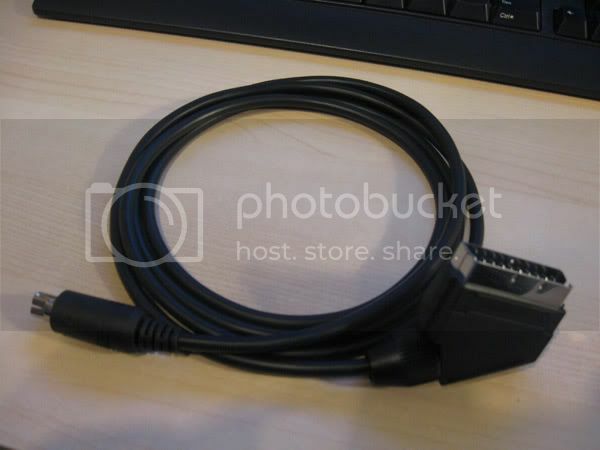 The bad part is if you are in the US you have to wait for international shipping to get your SCART cables, and many cables that are for sale are trash. The underside of the board where you would need to solder. I believe the guy was originally going to mount some jacks on the unit, but there wasn't enough room for it. The above method seems much easier. would love to see a clearer picture of that ground connection. let us know how it looks! There was no immunity to cuckoo ideas on Earth. Here was the reason human beings could not reject ideas because they were bad: "Ideas on Earth were badges of friendship or enmity. Their content didn't matter. Friends agreed with friends, in order to express friendliness. Enemies disagreed with enemies, in order to express enmity. When I actually get mine and do the mods I will take a high res pic, but the insides of the RCA cable should have a left signal (clear) right (red) and the ground is the exposed copper. It looks like he just twisted the grounds together and soldered them. I have ordered Scart cables for the Genesis, SNES/GC, Dreamcast, and the Saturn. So if this works I have effectively spent $125 total to get component out of five systems. Awesome. Okay, I got the SCART transcoder and the Genesis 2 SCART cable today, and hooked them up to the X'Eye. I never knew a Genesis could look this good. It's so colorful and sharp, which seems really weird to say because of years of living with the Genesis's crappy composite out. Castlevania, Streets of Rage 2, and Beggar Prince all show a dramatic improvement. I can't wait for the other cables to get here so I can try the other systems out. Hey, just in case anyone reading this is interested. I can now offer brand new handmade (highest quality) Sega Saturn Stereo RGB SCART cables. I also have loads of other RGB SCART cables I can make, so if anyone wants anything just drop me a PM and we can sort something out. Chaotic is a great seller, just bought a genny 2 scart cable! On a related note, I attempted using a SCART to Component cable adapter (SCART Male to 5-pin RCA Component Male). The audio and composite signals work fine, but the component will not show. I'm trying to use it to get component out from my SNES and Genesis (via SCART RGB). Any ideas? I'll vouch for Chaoticjelly too. The MD2 cable is super thick, and wonderful. I may have to get that Saturn cable, since the cheap one I got is very thin with little shielding so there is a tiny bit of interference. TurboCro: It sounds like you are using a basic adapter, and not a transcoder. The adapters only pass a signal, and since the SNES and Genesis don't output a component signal, it won't work. What you need is the transcoder like we were talking about above, it takes the RGB signal and converts it to component. I got NES, SNES, N64, Sega Genesis 2/32x, Sega Master System, Sega Saturn, PC Engine Duo-R, Atari Jaguar, Playstation 1, Neo Geo MVS (MV-1F with AES style RGB out) all working on my SCART to YUV (component) adaptor on my CRT TV and 1080p projector! update for everyone, I obtained this box a few months ago. Instead of having wires come out, I actually just put in a mini audio jack. 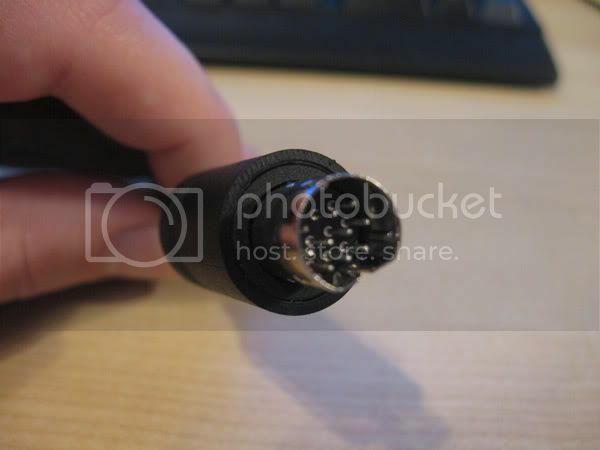 and also a DB9 connector so I can make my own custom RGB cable for a couple of my systems. I did buy a Scart cable for my SNES however.